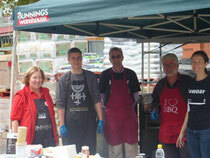 All smiles at Easter - (l-r) a friendly lady from Bunnings, Hamish, Dirk, Trevor, and Karen. 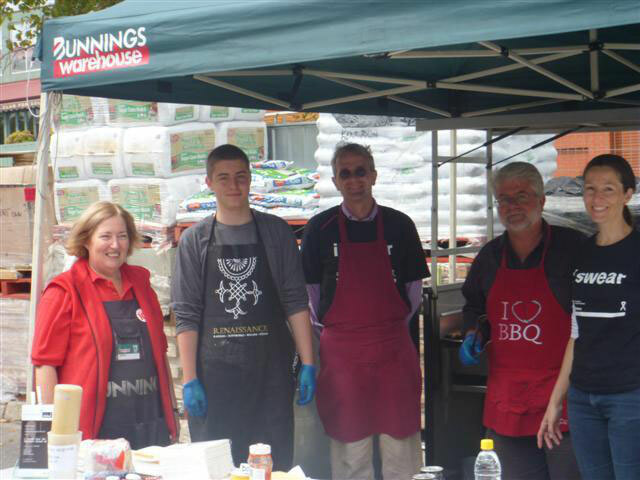 What a better way to spend Easter Sunday and Monday than at Bunnings in Kent Town, raising awareness of White Ribbon and cooking up some snags for the lads?! Thanks to all the good people (men, women, families) who bought a sausage - or two - and had a chat about White Ribbon and the work we're doing here in South Australia.